Coastal Rental Center has been proudly serving the Tampa Bay Area since 1993. We pride ourselves on our service to the customer. Our staff has over 100 years of combined rental experience. Our goal with every customer is to make sure you are satisfied and that we are the rental company of choice for all of your rental needs. You can depend on Coastal Rental Center to make your event, big or small, an event everyone will remember. We take pride in our work, making sure you are happy and not worried about your event. We are a true one-stop rental store. 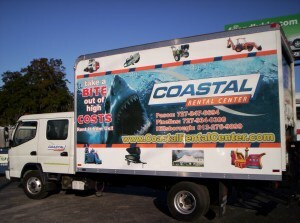 No one in the area has an inventory as extensive as Coastal Rental Center! Coastal Rental Center can cover all of your needs for construction or home projects. We rent Bobcats, aerial lifts, trenchers, generators, lawn & garden equipment, painting, plumbing, scaffolding, flooring tools, water pumps and much more. We can deliver it to you quickly, and make sure you get the proper equipment for your project. At Coastal Rental Center, we have the right equipment and the most knowledgeable, experienced and helpful staff in the Bay Area. Guaranteed!